Welcome to the official website of The Hunt Family Band! The Hunt Family Band is a four piece band made up of one family – Terry Hunt, Leanne Hunt, Andrew Hunt and Jonathan Hunt. “HFB” began touring and recording in 2004 and since then have released six albums and have performed at such events as Oklahoma’s International Bluegrass Festival in Guthrie, OK; Silver Dollar City in Branson, Missouri; and The Old Town Temecula Bluegrass Festival in Temecula, CA. Remaining people oriented and presenting quality music are high priorities for The Hunt Family Band. 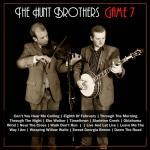 Get the Hunt Brothers latest CD!